Welcome to Yegge-McNeil Farmland. Our DeWitt, Iowa-based farm real estate company employs dedicated professionals with a comprehensive line of farm real estate services offered in our beautiful Midwest area. We have licensing in Iowa, Illinois, Missouri, Mississippi, Minnesota, and Arkansas. As an agricultural firm serving the Midwest as well as the Mississippi Delta our specialties include land sales, appraisals, auctions and management. We have extensive knowledge and experience with Section 1031 Like-kind exchanges. We feel strongly that our main purpose in real estate is to best serve our clients’ needs. Douglas Yegge is a broker and land agent with Peoples Company, a leading Iowa-based land brokerage. His office is located in DeWitt, Iowa. Doug has 42 years of real estate experience and has accumulated a vast knowledge in real estate matters. Prior to joining Peoples Company, he was the broker/owner of Total Realty Company in DeWitt, IA for 40 years. As an agricultural firm, his office serves the Midwest, as well as the Mississippi Delta. 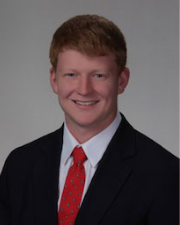 Doug’s specialties include land sales, appraisals, auctions and management. He has extensive knowledge and experience with Section 1031 Like-kind exchanges. Doug feels his main purpose in real estate is to best serve his clients’ needs. 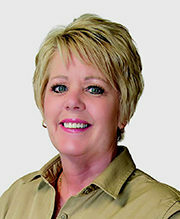 Tami Guy has 20 years of experience as the Office Manager at Total Realty/Peoples Company. She has vast knowledge in nearly every aspect of our business from bookkeeping, contract writing, and marketing to assisting in the listing and selling process from start to finish. Her attention to detail and organization allow for her to provide exceptional service to all of our clients, lenders, attorneys and partners in the real estate business.